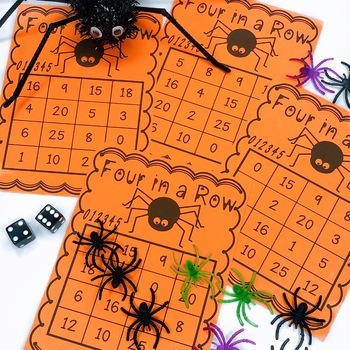 This unit covers making arrays, multiplication as repeated addition, and equal groupings. 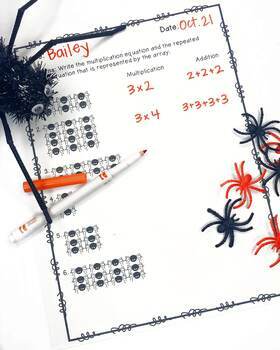 It also covers the following properties of multplication: zero, identity, and commutative. Because this is beginning multiplication, the associative and distributive properties are not directly covered. 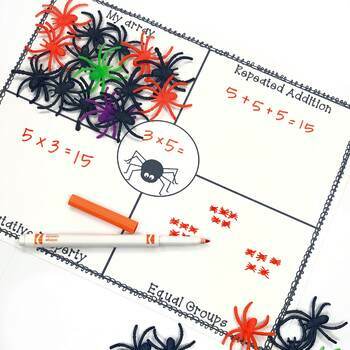 Buy some spider rings that can be used as manipulatives and teach students beginning multiplication strategies with this fun and engaging unit! 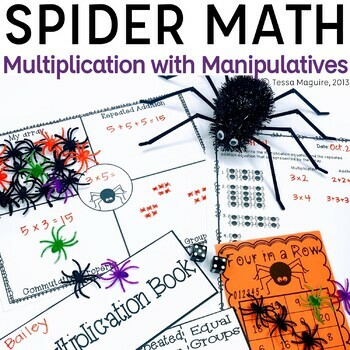 With this unit you will receive multiple group activities that would be great as bulletin boards, a flip book for students on multiplication strategies, a spider array craftivity, and various centers and games suggestions for helping build students multiplication knowledge and strategies.